A man has been arrested under the Terrorism Act on suspicion of membership of a proscribed organisation and dissident republican activity. 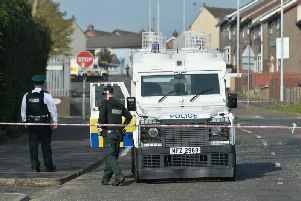 The 34-year-old was arrested in Lurgan by detectives from PSNI’s Terrorism Investigation Unit earlier today. He was arrested on suspicion of membership of a proscribed organisation and possession of information likely to be of use to terrorism. He has been taken to Musgrave Serious Crime Suite for questioning. Detective Inspector Adrian Brown said: “As part of our investigations into ongoing dissident republican activity we have arrested a man earlier today.